Many people haven’t been to Italy, and without visiting there, it’s almost impossible to see the work of Gianlorenzo Bernini. 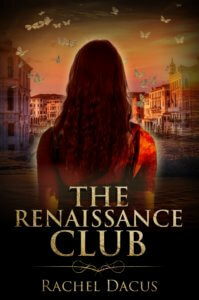 My time-travel novel, The Renaissance Club, (now available for pre-order on Amazon in either paperback or ebook) features not only his art, but Bernini himself. 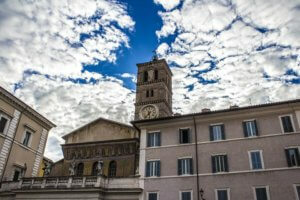 It’s set in five Italian cities rich with art and beautiful architecture: Rome, Assisi, Siena, Florence, and Venice. Rome especially features his expressive, passionate art. He’s the genius artist of the 17th century, and the idol of the protagonist, young art historian May Gold. Their meeting through the shifting folds of time occurs often near one of Bernini’s artworks. 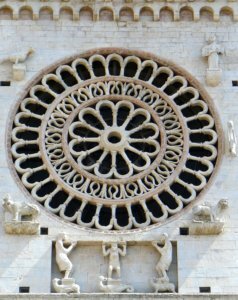 To help you see the places and sculptures in the book, I created The Renaissance Club Pinterest Illustration Board, illustrating my time-travel novel and has sections for all the cities May Gold visits on her tour of Northern Italy with her Renaissance Club colleagues. All the Bernini art she sees is included, along with places and art associated with time adventures by other characters. 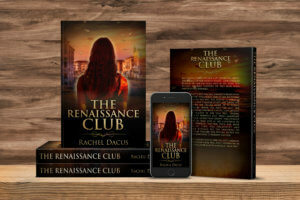 Take a tour of Renaissance Italy — in both May’s contemporary time, and Gianlorenzo Bernini’s 17th century — while you read The Renaissance Club. AVAILABLE NOW FOR PRE-ORDER ON AMAZON.